Hey dolls its me again! A few weeks ago I was kindly invited to the Lewis & Leigh AW/14 Press Day. The press day was situated in the heart of London at the prestigious Sanderson Hotel. It was an amazing day where I saw some of Lewis and Leigh Pr talented designers. The event was well organised and the atmosphere was very welcoming. I especially enjoyed the varied style of designers and the layout of the event.It was great to talk to the designers and find out what the inspiration were behind their amazing collections.The collections were outstanding partnered with well organised lighting and presentation.I particularly loved the collections by Christian Cowan Sanluis, It's Not Me It's You, Beau Homme, Phiney Pet, Orphan Bird. 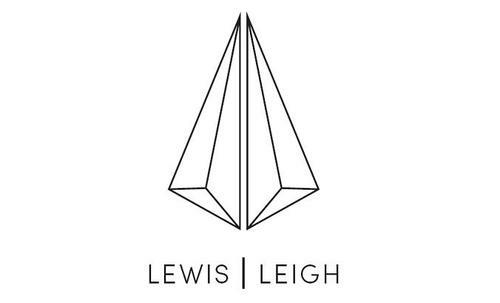 All designers are represented by Lewis&Leigh PR if you would like to contact them with any enquiries relating to the collection below. Obscure is a company that produces the finest, hand-finished, silk scarves. The scarves are designed by the talented Julie Gardener.Her scarves can be worn or even framed and displayed as works of art. Each of her detailed designed scarves has a meaning as each photograph tells a story. I particularly enjoyed her designs because of the crisp quality of her photographs and also the vast variation in the types of photos she took.I was surprised to find out that one of the photos was taken from a helicopter looking down on molten lava. Jay Briggs is a recent graduate, he creates beautiful hand made millinery hats and he has amazed UK press with his dark fairy tale style. He uses innovative unconventional materials like goose feathers and beetle wings which all could be described as taxidermy for his couture looks. Beau Homme designs and produces everyday menswear clothes that delicately challenge prevailing conventions.In 2007, he came to study Menswear at London College of fashion, where he met his BEAU HOMME business partner. This collection was really captivating because of the surrealism inspired prints on the men blazers and also the juxtaposition of themes they created. Christian Cowan-Sanluis's collection had a very fun feel. He uses unique textures like mohair to create a suit and tie style women outfit.He has been very successful with his latest collection with celebrities like lady gaga and Eliza Doolittle sporting his looks. He is only 20 years old so he is still quite you but so far he has accomplished a lot, so expect great things from him. He has successfully pushed the boundaries of his style in terms of texture his approach of his designs. This collection was very playful and quirky. IT'S NOT ME IT'S YOU is a fun east London based brand . They offer many different styles of leather goods with funny statements printed on it.Some of the statement you can find on their products are words like 'I like you and want to buy you an ice cream'You can't sit with us', The'Douche Bag' on a bag & 'Save me from my reality'. Phiney pet is a UK based brand. the brand takes its inspiration from the struggles and good times of growing up in southeast London. She uses secondary school slang phrases incorporated with other themes to create quirky looking over sized jumpers and fun graffiti style trainers that resemble school planners that have been doodled on. Orphan bird are a Swedish clothing brand they have altered the traditional way of tailoring and created a more retro futuristic style of minimal clothing .They strive for individuality and combine different values alike quality and ethics like environmental sustainability. Lucky Little Blighters have fantastic jewelry in unique shapes and styles. the designer uses twigs and uses a mold to create these detailed style of jewelry. Her pieces range from head pieces to over sized four whole rings.